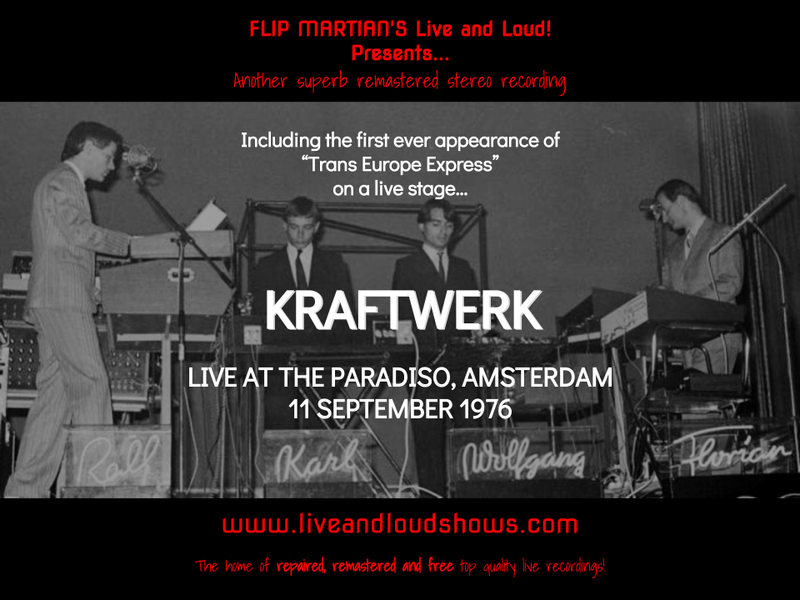 This is an historic gig from Kraftwerk from 1976. Historic because it featured the first appearance of Trans Europa Express, live on stage. This tape is an audience recording and was a wonderful (if incomplete) record of the gig. However, it did have a few odd glitches, tape noise and sudden changes in the sound levels to be repaired. Audience recordings don't generally respond as well as FM or soundboard recordings to EQ but once all the above were sorted out, a few hours spent on EQ did help improve the clarity of the music being played and increase the lower end frequencies a bit (often lost on audience recordings). Sadly the recording fades out during the latter half of Autobahn (but you still get about 17 minutes worth, including much cool jamming). Also featured is an early version of Europe Endless (I guess they never did a Dutch translation of Europa Endlos either! ), so the gig is well worth your time - a classic gig from a period before the ready availability of computers; you can really hear it all being played on stage. You can download the recording here as 1 MP3 file entirely for free. On the other hand, if you would like to have separate properly tagged MP3s or lossless FLAC files, head on over to the Donations tab to see how you can obtain these for a very small donation towards internet and hosting costs. The setlist for this recording is shown slightly differently on several sources around the web - I believe the setlist on this page is the definitive one. Incidentally, since I started work on this recording, I've made contact with 1 of the guys responsible for getting this old TDK D90 cassette recording into the digital world some years ago - so a big thanks to Twingo and Jerome - without them, this concert would be consigned to history. 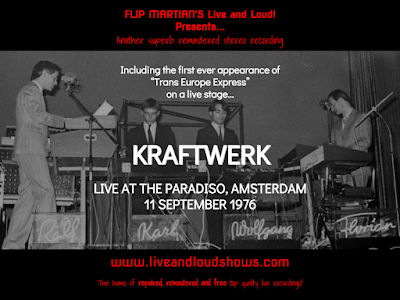 Please do check out http://twingokraftwerk.com for more info on this Kraftwerk live recording as well as many others! Amazing--one of the best live Kraftwerk shows I've heard and from such a prime period, too. Great job, Phil!